Explore Careers That Could Be for You! American Girl Publishing Inc, 9781593692773, 108pp. This book offers girls a sneak peek at a wide range of careers, from clothing designer and coach to animator and aerospace engineer. 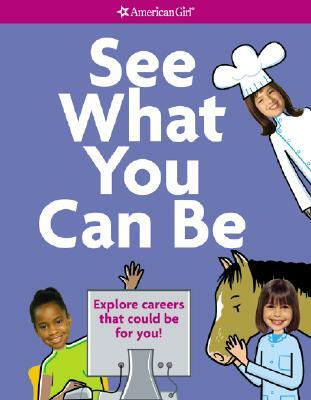 The book includes interviews with real career women and fun activities that girls can do to "try out" each career at home. After filling out the quizzes, puzzles, and journal pages, girls will have a book that's all about them - who they are now and all that they may become.